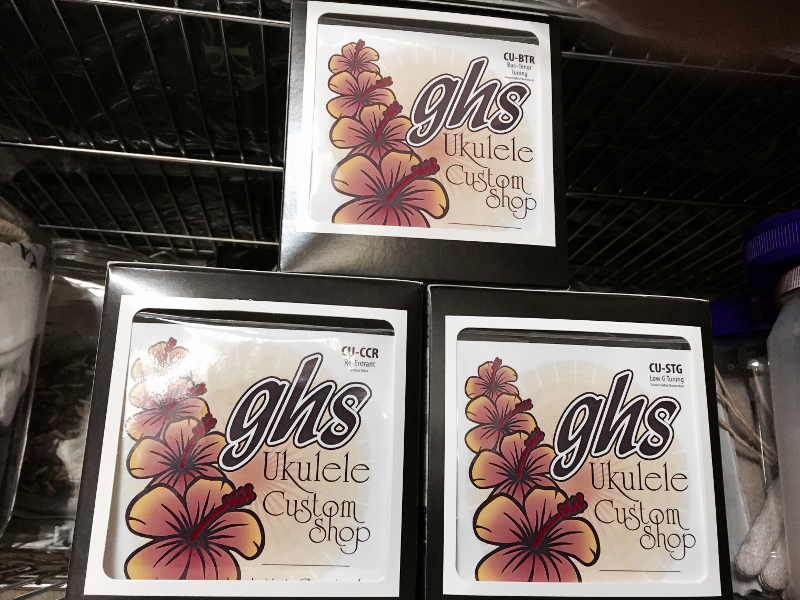 Our artist-curated GHS strings just came in. These are string sets that Craig Chee and Sarah Maisel worked with GHS to develop. We’ve been very happy with how these tested and these will be our new OEM strings for our IDeale™ and tenor ukuleles. They have good tension, a nice slick feel and they sound grand. We’ll be using Craig’s tenor re-entrant set (CU-CCR), Sarah’s tenor low-G set (CU-STG) and also Craig’s special re-entrant bari-tenor set (CU-BTR). You can get some for yourself at www.cheemaisel.com.